CARLISLE, P.A. (WPMT) -- A photo of Dickinson College students at a Halloween party has created controversy as some say it is racially insensitive. In a Facebook post Sunday, which can be read here, Joyce Bylander, Dickinson College Vice President and Dean of Student Life, addressed students after becoming aware of the photo. 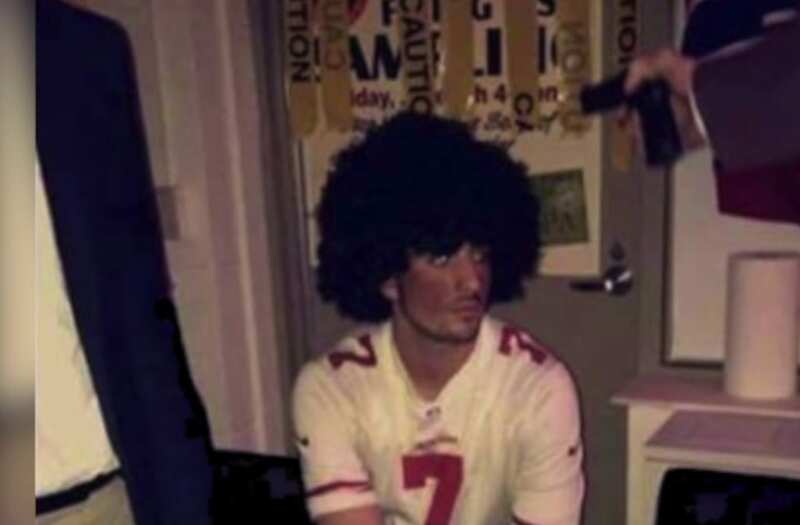 The photo appears to show a student representing former San Francisco 49ers Quarterback Colin Kaepernick. A photo of Dickinson College students at a Halloween party has created controversy as some say it is racially insensitive. In the statement, Bylander says the costume and image were "deeply offensive and reflected the exercise of very poor judgement." "It's every students job and everybody's job to make sure that they know that it's something that's not accepted," said Vaughn. Dickinson College officials say they are investigating the gun seen in the photo. They say guns, real or fake, are prohibited from campus.